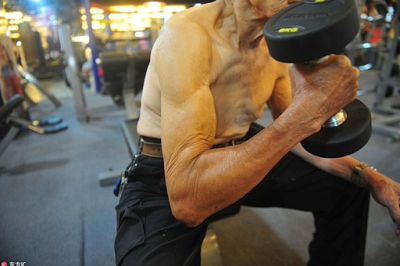 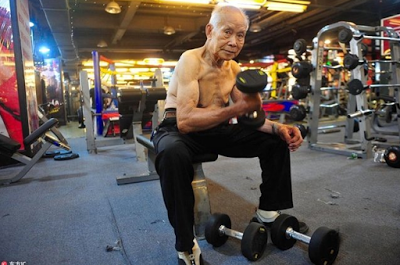 A 94-year-old man has become an online sensation after photos of him working out went viral. 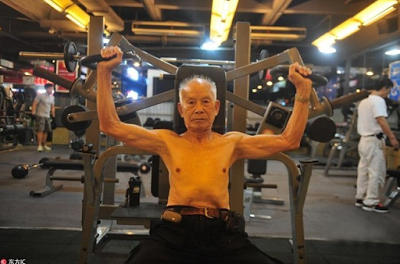 Shen Hua, who lives in south China's Guangzhou province, has been working out for 24 years. 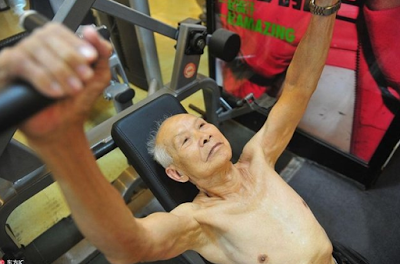 After photos of his work out went viral online, people have nicknamed him the "Muscular Grandpa."